This active lifting gel made with kelp and enriched with wheat proteins will smooth around the contour of the eye immediately for the day. Moisturizing ingredients such as Hyaluronic acid give the skin resilience and a smoother, younger appearance within seconds. The look will be intensified. AQUA (WATER), PROPYLENE GLYCOL, PVP, PHENOXYETHANOL, GLYCERIN, HYDROXYETHYLCELLULOSE, MACROCYSTIS PYRIFERA (KELP) EXTRACT, XANTHAN GUM, TRIETHANOLAMINE, HYDROLYZED WHEAT PROTEIN, CARBOMER, DISODIUM EDTA, POTASSIUM SORBATE, SODIUM HYALURONATE, TRISODIUM EDTA, BIOTIN. Apply the gel in thin layer directly to the skin around the eye. 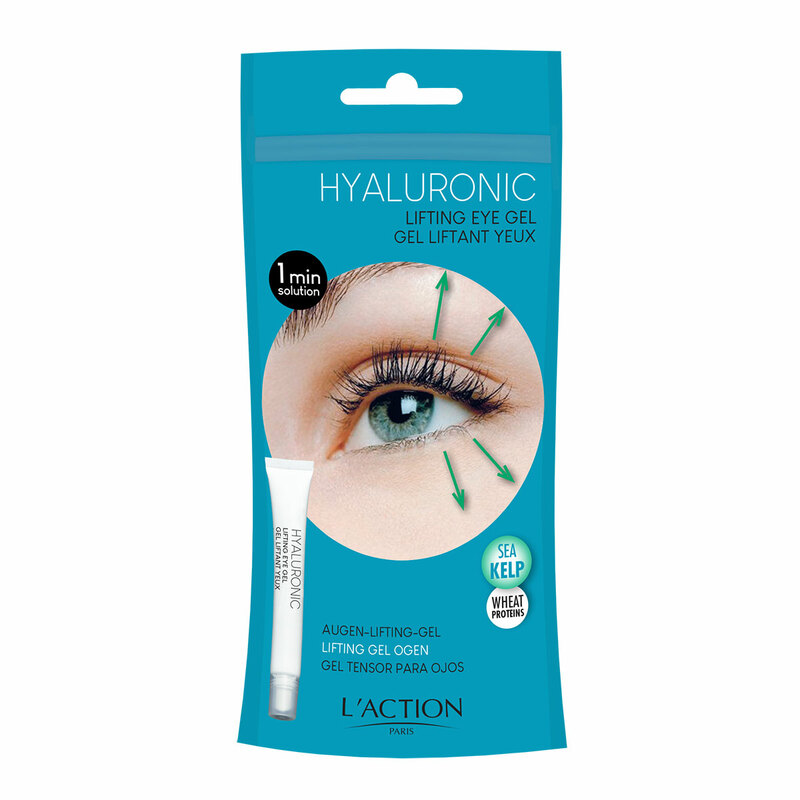 Massage the gel in a pat motion into the eye contour with your finger until it has completely penetrated the skin. Afterwards, apply make up as usual. Keep away from children.